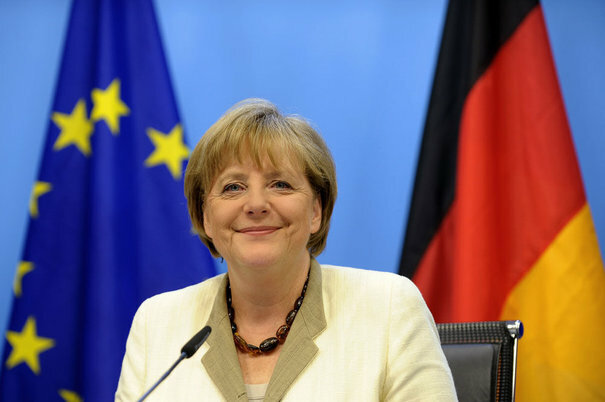 Angela Merkel is a woman who has ruled her nation with the compromising and soft hand of a pragmatist. She is not known for her fiery eloquence, her vast vision for a better world, or any firm ideological stances, but for a pragmatism and sense of good government that made her both well-liked and deeply respected within her country. 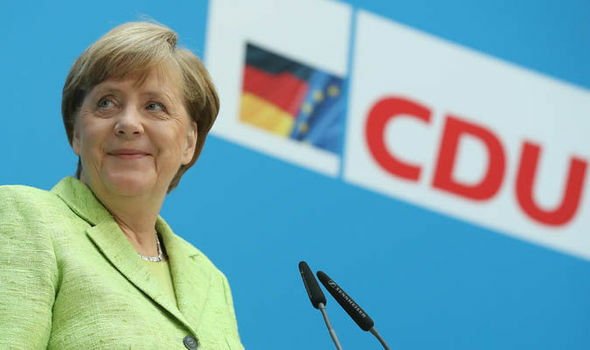 She has ruled her party, the Christian Democratic Union, and its Bavarian sister party, the Christian Social Union, with a firm grip, and it is only now, in the twilight years before her retirement in 2021, that her party has been bucking her, however weakly. However, Merkel is a leader whose iconography mean different things to different people. To Americans, she is the respected defender of the free world, a calm and democratic leader who embodies the ideals of the Free World. However, for her German and European comrades, she is viewed with a lot more nuance. She is a vocal advocate for the European Union, but shies away from any radical reformation of the Union to make it more democratic or for it to eventually lead to a single European state. She is a pragmatic and centrist leader, but one who does not truly seem to stand for anything beyond good government. She has formed governments from across the ideological spectrum, from the Social Democrats, the traditional rival of her party, whose policy goals are mostly centrist-leaning but still include more European Integration and reduced economic inequality, to the Free Democrats, Germany’s most free-market and free trade party who desire an economic, but not political, union, to even being open to coalitions with the environmentally minded Greens. Such ideological variety in her partners has certainly helped Germany’s hallowed history of stable government, but it doesn’t truly call out any large scale policy goals domestically. Even her party’s most identifiable policy difference between her party and the Social Democrats, its social conservatism, she has proved the consummate pragmatist, even allowing a free vote on gay marriage, which on the one hand makes cross-party coalitions easier since she appeases her coalition partners, then the socially liberal Social Democrats, but also allowed social conservatives the ability to vote against the proposal. It’s this type of double play that has made her so successful, and largely her legacy in domestic affairs is that of pragmatic good-governance, inflaming few passions, upsetting few people. However, her policy toward immigration and austerity have been the notable areas of passionate resistance to her and her governments. The issue of millions of refugees and migrants fleeing war torn regions, poor economic conditions, repression, or all the above and more, since 2015 has proven to be an enormously controversial issue, to put it mildly. Merkel has proved to be a strong pro-migrant a leader, accepting hundreds of thousands of refugees into Germany since the crisis began. This has caused some very clear ramifications. Namely, the rise of far-right nationalist parties in Europe who oppose immigration, oppose the European Union, and above all oppose Merkel and the type of “establishment” politicians that she represents. It is doubtful that such parties would not have developed had Merkel developed a hard line against refugees, just as it is doubtful that her policies alone caused the far-right surge that is occurring recently. Regardless of that uncertainty, what is clear is that Merkel’s acceptance of refugees has provided fodder to far-right leaders across Europe, and that the Alternative for Germany, or AfD, party is the beneficiary of this prominence. This party has cut deeply into her parties traditional base of support, and has destabilized and fractured German politics. We can only guess the long-term consequences of this, but as of writing Merkel’s most signal policy has resulted in mixed results: an electorate that is increasingly supportive of different policies, but one that has cemented her legacy for good governance, as it her policy has been implemented well. The second policy that makes her legacy more nuanced is her policy during the 2008 Financial Crisis and the debt crisis that resulted in many countries in the European Union. The countries affected most, including Spain, Portugal, Italy, Greece, and Ireland, Merkel proposed a hardline position that balanced budgets and financial austerity were the only ways forward. This policy has also proven mixed. On the one hand, it has helped the macroeconomic structure of those countries, and helped them get foreign investment, etc, but it has fueled a massive backlash against those policies and has hurt millions of people. The laying off of thousands of public employees, the deep cuts to social services, and the raising of taxes, has proven enormously destructive to the country’s financial recovery and the citizens lives. Merkel’s dedication to the balanced budget and austerity worked well in her country, as it was relatively unaffected by the financial crisis and has one of the most robust economies in Europe, but for nations on the periphery of Europe, with less developed economies, the consequences of her hardline are downright criminal. This hardline has fueled anti-austerity populism across the region, from Spain’s Podemos, to Greece’s Syriza, to Britain’s Corbynite Labor party, and has seriously upset Merkel’s hegemony over the European Union. Both of these signal policies act in conjunction to deliver a massive shock to the system that Merkel created so laboriously, and Italy is probably the best example of this confluence of anti-austiery and anti-immigrant populism. In its 2018 general election the far-right anti-immigrant League won its largest share in the more economically prosperous North, while the anti-austerity Five Star Movement won in the more economically depressed South. As a result, a populist government was put in charge of Italy, one anathema to the most prominent policy positions of Merkel. In the final summation of Merkel’s long term as the German Chancellor, she will likely be remembered at home in the decades to come as a competent, uncontroversial chancellor who upset few, and under whose guidance Germany prospered. However, few will remember her as a reformer who left Germany with a better or more equitable economic or social system, and fewer still will remember her with any nostalgia in the countries most hurt by her austerity position. Time will tell the long-term consequence of her refugee policy, though the immediate consequence is a more fractured political atmosphere. Austerity and immigration will probably forever be her defining legacy, and whether for good or for ill it will be the job of historians to decide. In the opinion of this writer, for all her competence and ability to compromise, she has left Germany little changed economically, only slightly more equitable in the rights of minorities, and massively destabilized politically.